We live in an amazing city with rich heritage and a long history. Chennai like other cities of India is going through a critical phase and facing significant developmental challenges. To address these challenges, it’s important to understand the strengths of our city. The heritage of our city and its contribution to modern India is one such key strength. August 15th being a national holiday was, as in other years, marked by events remembering India’s “tryst with destiny”, but for most of us in the city, another significant date – August 22nd went by unnoticed. This is the day when Chennai celebrates its founding day, called “Madras Day” after its name until 1996. Madras Day, an idea of the pre-eminent Chennai historian S.Muthiah and a few others, was conceived in 2004 and has been celebrated ever since. From a day’s celebration it grew into a week-long celebration and is now celebrated for a month – though only among a small circle. 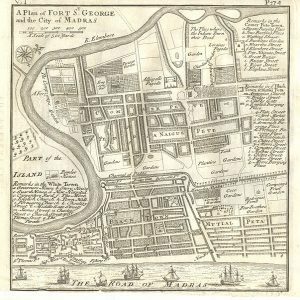 The founding of the city goes back to the days of the East India Company, when it was looking for a port to start a factory for trade after landing in Surat in 1599. Their previous ventures at Mausalipatam, Pulicat and Armagon — all north of Chennai — didn’t go well. The Nayak empire, weak at sea, desired to have skilled mariners as allies to counter the Portuguese, a strategy they learned from the Mughals. 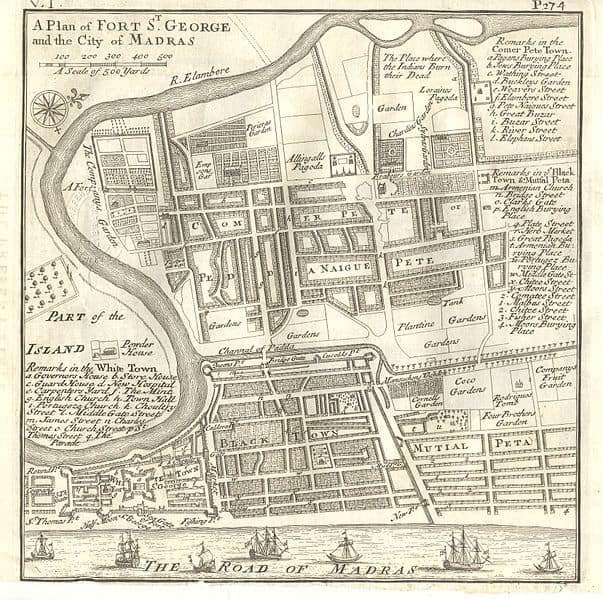 Thus, this marriage of convenience led to the birth of Chennai, with the land for Fort St George being transacted with the Nayak rulers on August 22, 1639. Fort St George currently houses the legislative assembly and other official buildings of the state government. What most of us do not know, however, is that many of the modern institutions in India started their journey in this city of Chennai. If you want to trace the evolution of any modern institution of India, the history of institutions in Madras would be a good starting point. As the East India Company evolved from a commercial enterprise to a political force and then the government, it assumed increasingly larger roles, creating and evolving the requisite framework of institutions in the process. Madras provided the cradle for this process. Madras was initially subordinate to the Presidency of Bantam in Java. In 1653, it received the status of a separate presidency. 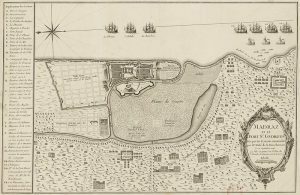 In 1658, factories on the Coromandel coast and Bengal were made subordinate to Fort St.George and this arrangement continued till 1698 when Bengal became an independent presidency. Elihu Yale, an early prominent president of Madras created the institution of the Corporation of Madras and the office of Mayor, thus laying the foundations of modern local governance in India. The charter came into force on September 29, 1688. The jurisdiction of the corporation extended to 10 miles from Fort St.George. The corporation initially had powers to decide petty cases as well as levy rates for building schools, the town hall and jail. The first Mayor of Madras was Nathenial Higginson. This may raise a few eyebrows, as it is common knowledge that the first train in India ran from Bombay to Thane. But like many other modern institutions, the railways too originated in Chennai with the Madras Railway Company being formed in 1845. Though Bombay beat us in running the first train in 1853, the Bombay Railway Company was actually started later. The first train under the Madras Railway Company ran in 1856 from Royapuram Station to Ambur near Vellore. To compensate for missing out on running the first train, we can pride ourselves on the fact that Royapuram Station is the oldest standing railway station in the entire Subcontinent, given that the original structure of the Bombay and Thane station no longer exists. In 1678, the Supreme Court for Judicature was set up for dealing with cases involving Europeans and for hearing their appeals. It was run by the Company. In 1684 it became the Admiralty Court, presided over by a Judge Advocate from England. In 1688, the Mayor’s court for minor offence was set up and in 1797, the Mayor’s Court became Recorder’s Court (an Englishman was required to keep the records – hence the name). In 1801, the Admiralty Court and Recorder’s court were merged to form the Supreme court. 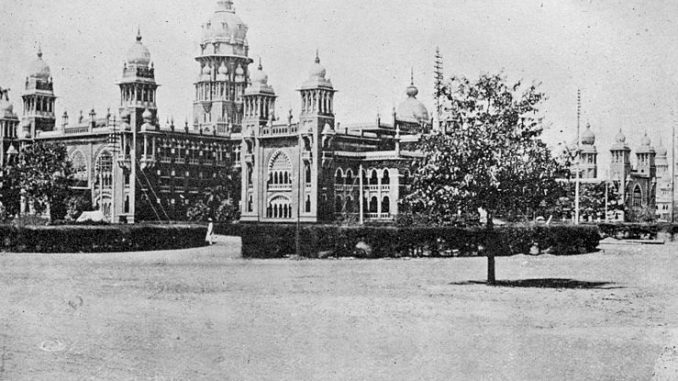 Finally in 1862, the Company’s Sudder Court merged with the Supreme Court and thus was established the Madras High Court. Initially, the East India Company had only untrained guards with some bearing arms. 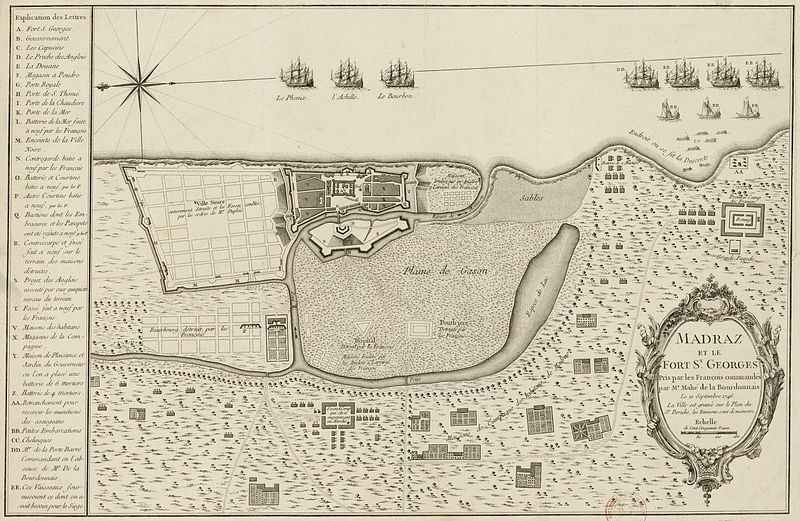 In September 1746, the French attacked the Fort and took over until Aug 1749. Their attempt to siege in 1759 failed, though they succeeded in wrecking the city. These events forced the British to raise a well-trained army. After the siege, the Sepoys were organised into regular battalions. Thus the Madras Army was formed. By 1767, the number of battalions rose to 19 in just over a period of eight years. The company also started raising regiments of infantry [foot soldiers] as well as companies of cavalry [soldiers on horseback] and artillery [large military weapons]. The Madras Army was merged with other Presidency armies, into the Indian Army in 1895. The above are some of the key events that happened in Madras that shaped modern India. From education to business to charities, there are more such events. But unfortunately, we don’t recognize the heritage of the city that we live in and its role in shaping in modern India. The city has been built by generations of citizens who remained true to their civic duty and carried them out responsibly. We owe it to them to pass the city over to the next generation in a better state than what we inherited. Good to know the details. Thank you Mahesh, for taking us back with the beauty of chennai/madras with its history, Looking forward for further more kind of articles on the same. This is very informative, thanks mahesh!